India calls. The Himalayas beckon. Let India inspire your writing. If stimulating the brain helps our writing, then touristy, urban India is stimulation overdose. At our retreats we strive for balance. We'll meet you at the Delhi airport and take you on a day-trip to the Taj Mahal. 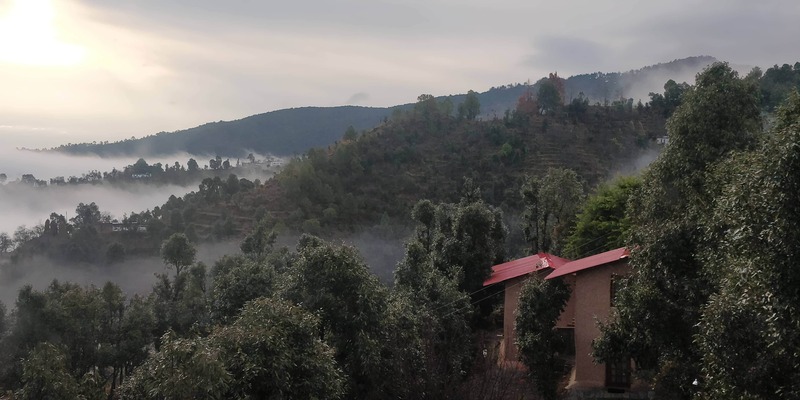 Then we take you to a quiet getaway, the Himalayan Writing Retreat, a muse to writers from all over the world. On a clear day, you have an unparalleled 270 degree view of Himalayan peaks 5000 ft taller than Denali. In this serenity, you channel India and all its chaotic vibrancy into your writing. In the Himalayas, you continue to discover a sliver of India everyday but in a calm, rural setting with time on hand. Experienced mentors and like-minded writers nourish your writing, as does the popcorn on Bollywood film night. Cultural outings and wilderness hikes enrich your experience. You can also mix in some yoga with your writing. Himalayan peaks with the Himalayan Writing Retreat in the foreground. We have two retreats coming up : The Fiction Writers Retreat this Fall, and the Memoir Writers Retreat next spring. To keep the experience rich and personal, we limit participation to ten in all our events. From your arrival at Delhi airport to your departure, our retreats include all transfers, food, sightseeing and stays (twin shared). International flights, personal shopping and the Yoga are additional costs. Write in the land of Myths and stories. 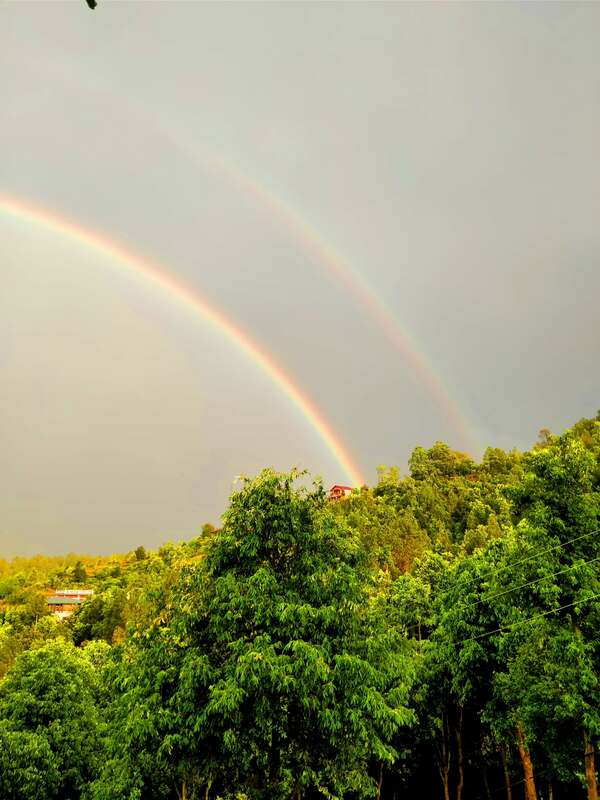 This retreat is led by Paula Younger, and supported by Chetan Mahajan and Vandita Dubey. To learn more about the retreat, and to apply, click on the Learn More button below. For questions about travel to India, visit our India FAQs page. USD 2500 (includes airport pick and drop, all transfers, in-country travel, twin-sharing stays and taxes). Let India inspire your Memoir. Alex Lemon and Chetan Mahajan lead this retreat. Alex is the author of two highly acclaimed Memoirs published in the US. Chetan Mahajan's memoir was published by Penguin in India. USD 2600 (includes airport pick and drop, all transfers, in-country travel, twin-sharing stays and taxes).